The Feminist Students Association (FSA) hosted its annual dinner in the Cohen Dining Commons this Wednesday, featuring the theme “Women Activists in the Performing Arts.” Students, faculty and other members of the community showed up for this engaging and intimate event that included a dinner, panelist presentations, and a question and answer session. According to an email sent by the FSA, the arts play a key role in developing the culture of resistance and activism that is home to the feminist movement. To highlight the theme, four women in the arts spoke as the panelists at the dinner, covering topics ranging from empathy and intersectional feminism, to the importance of asking questions to help people learn. The theme for the night was chosen after the club brainstormed ideas and held a vote, ultimately deciding on the Performing Arts as the theme, Jordan Ferdman (10) said. “Art expresses the social and material circumstances that groups are in,” Joshua Benson (12) said. Not only are all the panelists artists, but they are all activists in some regard, as their art in itself is a form of activism, and their experiences as women bleed into their art, he said. After deciding on the theme, the club continued reaching out to women artists until they found four panelists available to attend, Ferdman said. Every panelist holds more than one position in the art world, ranging from directing to playwriting, and it was inspiring to hear about their experiences, she said. Originally, Founder of oma lilly project Binta Niambi Brown was supposed to talk but due to a last minute cancellation ICIE Associate Sharina Gordon filled her place, Del Gatto said. 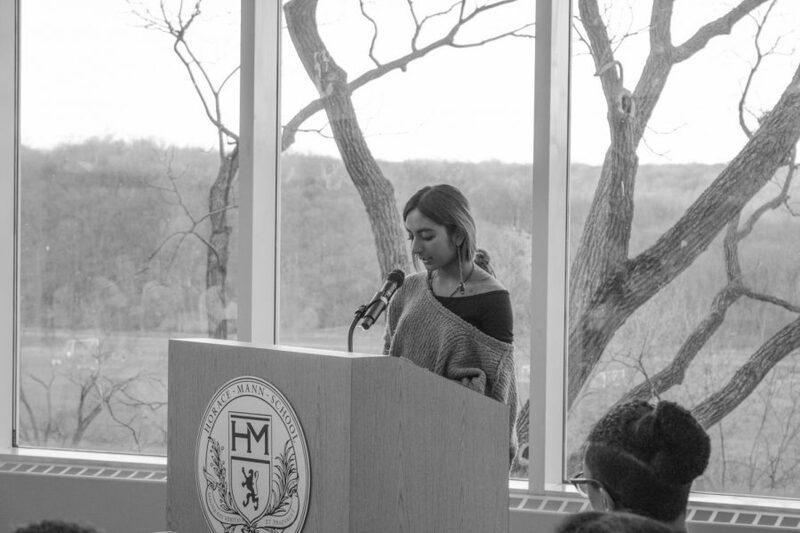 After both of the FSA Co-Presidents introduced the event and Priyanka Voruganti (11) read a poem entitled “Planetarium” by Adrienne Rich, the night moved into the panelist talks. The first panelist to speak was Dr. Dipti Mehta, an Indian American actor who created and performed in “Honour: Confessions of a Mumbai Courtesan.” Through this work and other pieces of art that Mehta has been involved with, she advocates for the rights of brothel dwellers and other oppressed groups of women. 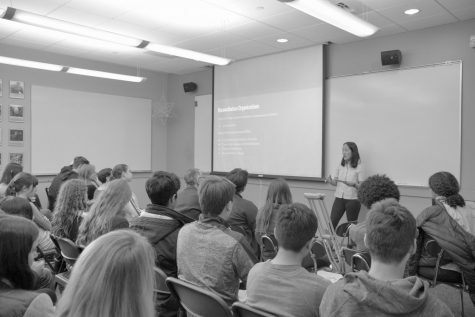 In her talk, Mehta discussed the importance of putting a story to an issue to help people better connect with the message of the issue and create lasting social transformation. Gordon, who spoke next, continued speaking about this theme of sharing stories when she talked about the organization that she helped create and run called Codify Art. 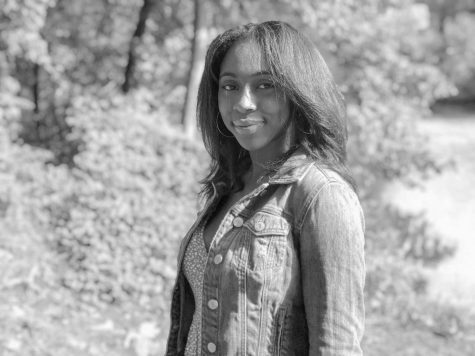 After Gordon spoke, the founder of Mind-Builders Creative Arts Center in the Bronx, Madaha Kinsey-Lamb presented. Kinsey-Lamb was nominated as a presenter by Tess Abraham (10) who is a dancer at Mind Builders and a member of FSA. Kinsey-Lamb spoke about how art has a unique ability to make people connect with certain ideas or people in vital ways “We each have the capacity, the ability, to change the world; especially if we work together,” she said. The last panelist was Rachel Dickstein ’88, the artistic director of the theater company Ripe Time in Brooklyn. Through her work, Dickstein tells the stories of women and girls as protagonists in a world that constantly tries to define them, she said. Dickstein was excited to participate in the dinner because she feels strongly about empowering young women, she said. “I think that the speakers were all amazing,” Del Gatto said. The audience had great questions for the panelists and the night was insightful and uplifting, she said. “I think its always inspiring for students to hear women who are out in the world making their voices heard and doing great work,” FSA faculty advisor Dr. Wendy Steiner said. “When you’re lucky, you meet other warriors,” Mehta said.